Millennials in America are more likely to have visited a public library in the past year than any other adult generation. Members of the youngest adult generation are also more likely than their elders to have used library websites. About four-in-ten Millennials (41%) used a library website in the past 12 months, compared with 24% of Boomers. In all, 31% of adults used a library website in the past 12 months, which is similar to the percentage that reported using library websites in late 2015. Relatively high library use by Millennials might be related to changes that many public libraries have undergone in the past 20 years. 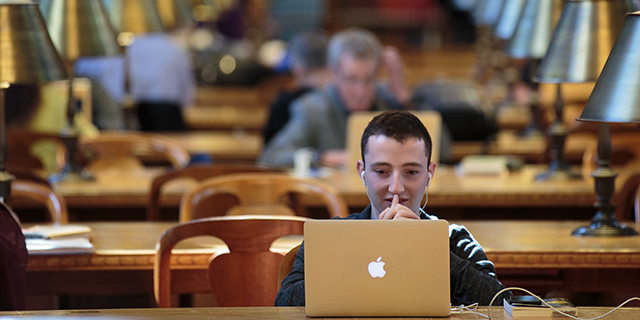 Previous Pew Research Center surveys have documented how extensively people use computers and internet connections at libraries, as well as how interested they are in extra services such as literacy programs for young children, meeting spaces for community groups, and technology “petting zoos” that provide opportunities to explore 3-D printers and other tech gadgetry.